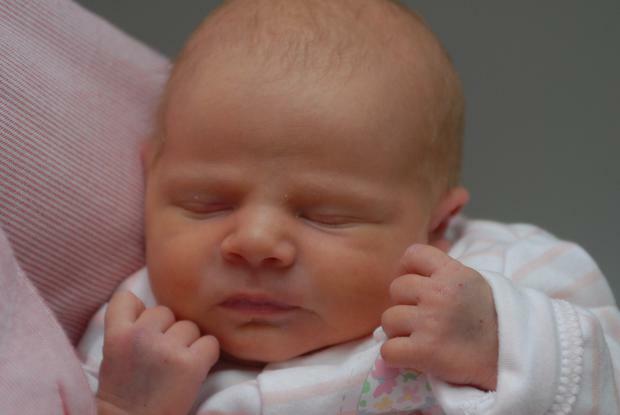 Gardai have released a photograph of the newborn baby Maria, who was found abandoned on a roadside 12 days ago. The image of the newborn baby girl, who was discovered in Rathcoole, Co Dublin, on Friday May 8th, was published in a bid to get her mother to come forward. Officers have previously said that they are concerned over the welfare of the mother of the baby girl, stressing that she is not in trouble. Sergeant Maeve O’ Sullivan, of Child Protection Unit in Clondalkin, said: "We are releasing this photograph so Mum can see her little baby girl and we would ask Mum to please contact us. "It has been 12 days since the discovery of the baby and we wish to thank the public for their assistance." Gardaí have received a number of calls from the public and all these calls have been followed through on, but unfortunately the mother has not yet contacted Gardaí or Tusla, it added. Officers are also appealing for anyone who may have been on Steelstown Lane between 10am and 3pm on May 8th to come forward if they have not already done so.